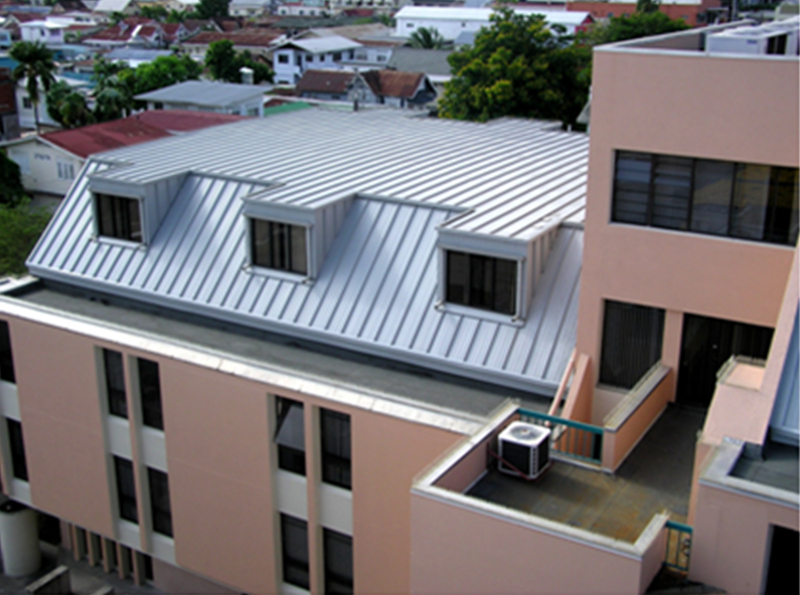 PVDF Pre-painted 24 Gauge Galvalume Standing Seam Profile Roof Sheeting mechanically fixed over bituminous underlay sheet and into structural timber roof deck complete with customised metal cladding, flashing and trim. Also to lower roof level 2 Ply Index Argo APP Polymer Modified Bitumen roofing system fully adhered to structural concrete deck. This project was completed on time, within budget and to the satisfaction of our client. A ten (10) year System and fifteen (15) year Manufacturer’s Warranties were issued to ensure the waterproofing ability of the materials and workmanship.